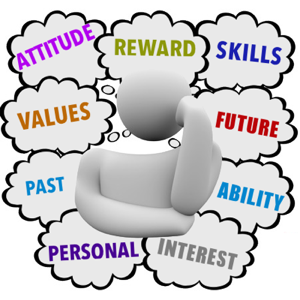 do you know enough about yourself – your interests, abilities, personality, etc? have you enough information about the options you are considering (work and study)? have you sought the advice of other people? are you taking into account only present considerations, or are you thinking of the future? have you reached a decision yourelf, or have you been forced into it in some way? what your friends think of your actions? the expectations of your parents? probably incorrect information which “someone” has told you? trouble with, or a dislike of, your present situation? Do you need more help? Look here!